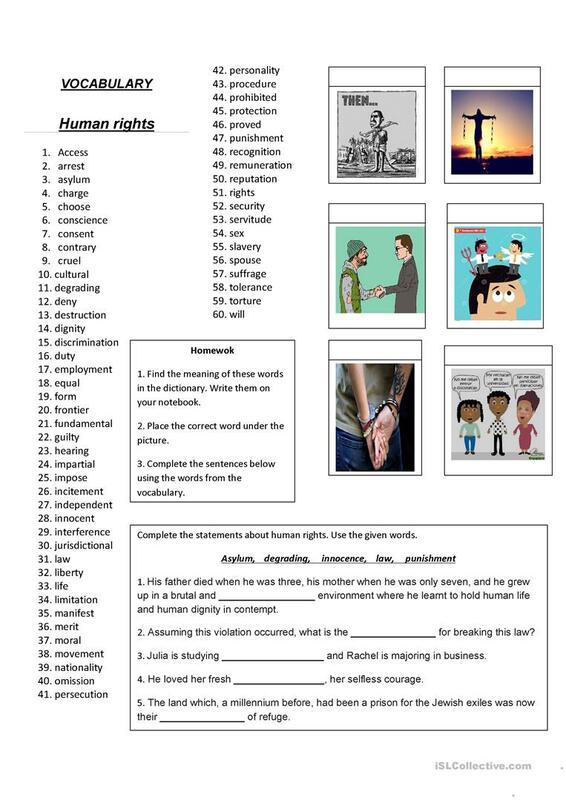 This is a 60 word vocabulary about human rights with some activities to develop as an individual task in class. The present downloadable worksheet is intended for business/professional students, high school students, elementary school students and adults at Intermediate (B1), Upper-intermediate (B2), Advanced (C1) and Proficient (C2) level. It is aimed at consolidating Nouns in English, and was designed for honing your learners' Spelling, Speaking, Reading and Writing skills. It centers around the theme of Human rights, racism, discrimination.